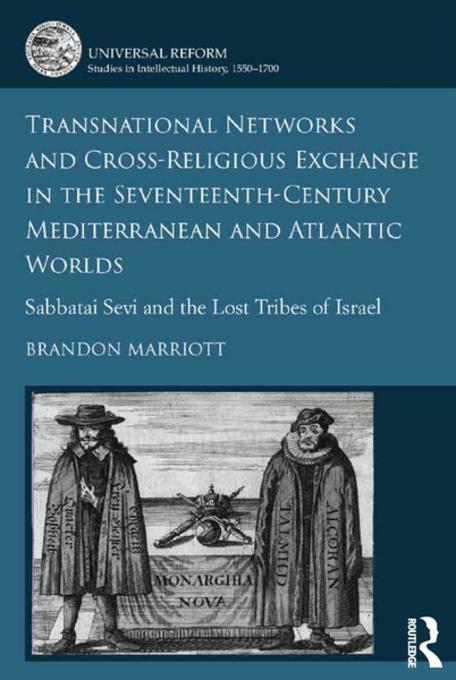 In this detailed and interesting book, Brandon Marriott attempts to trace the transmission of news and rumours across Europe, the Levant and the Americas between 1648 and 1666 in the context of heightened Jewish messianic and Christian apocalyptic expectations. He shows how these stories and rumours were often transformed as they were transmitted and how their reception and interpretation differed in specific geographical locations and religious communities. Marriott notes that ‘historians know a good deal about the global flow of trade, but are just beginning to consider the global circulation of information’ (p.134). His work seeks to contribute to this emerging research and ‘responds to the calls by historians for the study of history from a larger perspective’ (p.8). The book is written in a dense but accessible style and is primarily addressed to an academic audience. It will be of particular interest to scholars of history, religious ideas, interfaith relations and print culture within the early modern period. The book includes an introduction and conclusion, four main chapters, one of which focuses explicitly on a Quaker theme, a concise index, an extensive bibliography of archival, primary and secondary sources, and a helpful parallel timeline covering each of the main regions considered (the Americas, Iberia and Italy, Northern Europe and the Levant). The four central chapters of the book each deal with a specific case study. Chapter one explores claims emerging in the late 1640s that the Lost Tribes of Israel had been discovered hidden in the Jungles of South America. 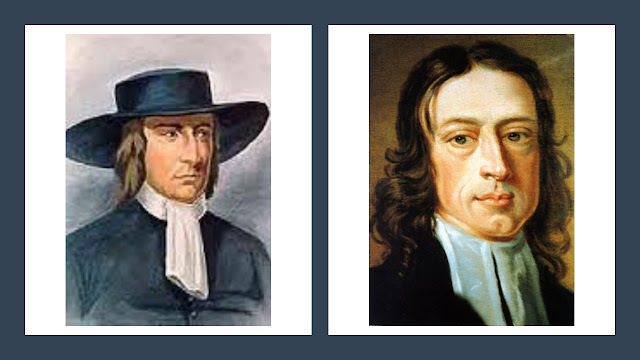 Chapter two focuses on the story which circulated in the late 1650s about the ‘Quaker messiah’ James Nayler. Chapter three considers the rumour that spread widely during the mid-1660s that Mecca had been sacked by the Lost Tribes of Israel. Finally, chapter four addresses the story of Sabbatai Sevi, a Sephardic rabbi living in the Ottoman Empire who claimed to be the Jewish messiah but later converted to Islam. Marriott’s careful plotting of information transmission during this period reveals a number of important insights. He notes how a vigorous print culture, the emergence of a news industry and the development of global mercantile and scientific networks enabled a major expansion of the production, transmission and circulation of information. Indeed, this seems to have resulted in a bewildering experience of information overload, where a deluge of news and rumours often proved disorientating for its recipients. The circulation of misinformation was particularly pervasive at this time and could link individuals and groups across national, religious and continental divides. This included ‘the intertwining of Jewish, Christian and Islamic eschatological beliefs against the background of an increasingly global exchange of news and rumours’ (p.132). However, direction of travel and influence were not symmetrical. Marriott concludes that, while news from the Ottoman Empire spread across Europe, news from Europe and the Americas was less likely to travel in the other direction. Similarly, he concludes that events in the Jewish world often had a strong impact on Christian communities, whereas Jews appeared to have been relatively unaffected by news coming from the Christian world. In addition, the way news was received and interpreted depended to a large degree on the characteristics of local religious cultures. Amsterdam was a place of religious toleration, and so information could be discussed openly by Jews and Christians and such cross-religious interactions promoted millenarian and messianic ideas. In Italy, on the other hand, such information was interpreted quite differently because Italian Catholicism was not inclined to apocalyptic speculation. In Germany, instead of generating excitement, messianic Jewish rumours provoked great fear, due to the spectre of the ‘Red Jews’ within German culture, who were regarded as an epochal threat to Christendom. A key benefit of conducting history from a larger perspective is that it enables us to see connections and trends that are not necessarily discernible at the micro-level. However, such a big picture perspective can also mean that the nuances and complexities of a particular situation are neglected. Marriot’s treatment of the James Nayler story reveal this limitation. He helpfully demonstrates how the story spread more widely within Europe and the Americas than had been previously thought. However, he tends to take the version of events that was formulated and circulated by anti-Quaker sources at face value. Indeed, he suggests that the messianic claim made in Bristol in 1656 may well have been prompted by the impact of Rosicrucian and Fifth Monarchist ideas on Nayler and his followers. His justification for this claim is the connection that existed between Martha Symonds, one of Nayler’s followers, and Giles Calvert, who published tracts by these groups. This proposition fails to take account of a number of important factors. Firstly, it under-estimates the fiercely sectarian nature of radical religion in the 1650s. Quakers defined themselves very clearly over and against such groups. Secondly, it disregards the fact that Calvert was the principal publisher of tracts by a whole range of radical religious groups, including those of Friends. Finally, and perhaps most importantly, it ignores a crucial feature of early Quaker theology: the belief that Christ had returned in Spirit, was available to all, and would be revealed in anyone who turned to his inward teaching and transformative power. Friends proclaimed that Christ was now appearing in his people and was mobilising them in the Lamb’s War. The idea of an individual messianic claim was therefore inconsistent with the early Quaker witness. That said, such a detailed analysis of one particular event is beyond the scope and purpose of Marriott’s research. For Quaker historians and theologians, this work offers a valuable insight into the complex cultural and religious context in which early Quaker apocalypticism developed. In particular, it should prompt further research into the cross-religious exchange that took place between Quakers and Jews in the seventeenth century. 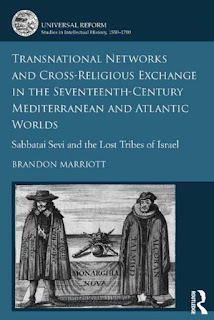 Brandon Marriott, Transnational Networks and Cross-Religious Exchange in the Seventeenth-Century Mediterranean and Atlantic Worlds: Sabbatai Sevi and the Lost Tribes of Israel (Farham: Ashgate, 2015), pp.xiii +167. ISBN 9781472435842. Hardback, £65.